We are committed to 100% transparency with our authors. Our business model is based on trust, and it’s our pleasure to give prospective authors as much information as possible. The way that we do hybrid publishing is unique and effective. Here are the answers to some of our most frequently asked questions. If you don’t see your question, please feel free to contact us. We publish fiction, narrative/creative non-fiction (true stories), and poetry. We’ll consider non-fiction of other types, but are looking for compelling reading, not academic materials. We do not publish erotica or children’s story. Our emphasis is on books for adult readers, but we will consider YA and middle-grade chapter books. Start the submission process here. I’m having trouble with the website, can I talk to someone? Sure! We’re happy to chat. Please give us a call at 614-441-9777, or email us at info@boyleanddalton.com. Is Boyle & Dalton self-publishing? Sort of. Authors do invest in the production of their book, so it is self-publishing in some respect. However, we vet books for quality and insist on a full traditional production process, so in that sense we operate more like a traditional small press. Like self-publishing, the author receives the majority of all royalties. Our present standard royalty rate is 70% (compared to a 7% industry average NET royalty among traditional publishers). If selected, where will my book be sold? Your book will be available through Ingram, the nation’s largest book distributor. It will be for sale on Amazon.com, BarnesandNoble.com, iTunes, Kobo and many others. Your book will be available to brick-and-mortar book stores, though convincing them to carry your book on their shelves can be challenging. However, if someone requests the book at a local book shop, the shop staff can easily order the book from their normal catalog with Ingram. How much does it cost to publish with Boyle & Dalton? Most authors invest between $2,000 and $5,000 in their book. Factors that may affect the total investment price are the length of the book and the amount of editing and development we expect the title to require. What percentage of submission do you accept? We accept fewer than 10% of the manuscripts that are submitted to us. How much do your authors make in royalties? We pay a 70% NET of royalty. That means that whatever we receive for the sale of your book, you get 70% of that in a quarterly check, no weird fees or funny business. For comparison, most of our authors make $3 to $5 per book sold. We pay our authors every quarter. Typically, authors receive checks in March, June, September and December. How do you determine how much the author pays? The biggest factor we consider is the cost to produce the book, in labor, wages, and cash expenses. We balance that cost against our optimism for the book at market, and arrive at a fair investment point that we believe the author is likely to recover. We win when everyone is profitable, the author and us as the publisher. You do, with our help. We’re here to provide good advice, so we’ll make some suggestions, but ultimately we allow the author to set the final price. Who has final say on creative decisions? You do. We respect your investment, both monetarily and creatively, into your work. So when push comes to shove, if you’re in disagreement with our production experts (which hardly ever happens), you’re the boss, and it’s your book. How do we select books? 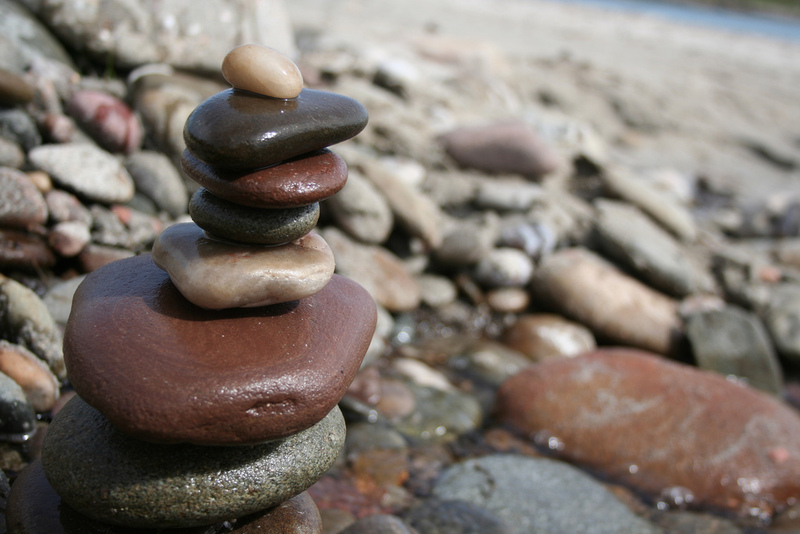 At Boyle & Dalton, your investment helps to mitigate the financial risk of taking on a new title. So we ask a different question: “Does this book represent the values and quality of Boyle and Dalton?” As long as it’s a book that we can proudly stand behind as an example of our work, if you’re willing to take a financial risk we’ll take it with you. How long does the selection process take? We do our best to make a determination on most books within two weeks. We like working with authors, so we keep you in the loop through the whole process. We’ll walk through each step of our production process, and get your feedback and approval for each part before moving on. After everyone is 100% happy with the book, we distribute it to retailers. Read more about our production process here. We are in Zanesville, Ohio. We are happy to meet authors in person in Central and Eastern Ohio, and to talk on the phone or video conference with clients outside of our area. We do NOT outsource our work to foreign countries. Your complete production is completed in-house in Zanesville, Ohio. How and when do I pay Boyle & Dalton? We accept checks, credit/debit cards, and PayPal. For most titles, we ask for half of the total project cost up front, with the remainder due when you’re 100% satisfied that we’ve produced the work in a way that’s consistent with what you’ve been promised. The author and Boyle & Dalton are expected to market the book. Boyle & Dalton primarily markets the book within our existing extensive social media platform. Boyle & Dalton provides unlimited marketing consultation to authors. Our industry experts are available to provide insight, guidance and resource throughout the process, at the author’s request, at no charge. Additional marketing services can be provided by Boyle & Dalton on a fee basis, if the author would like assistance. Are there any other fees or costs? No! The only other cost is a $25 annual renewal, which we’ll bill you for each year to keep your book in our catalog and available from retailers like Amazon, BarnesandNoble.com, iTunes, Kobo and so many others. If you don’t see your question, please reach out to us today. Contact us here. Ready to submit your work for consideration? Begin the process here. 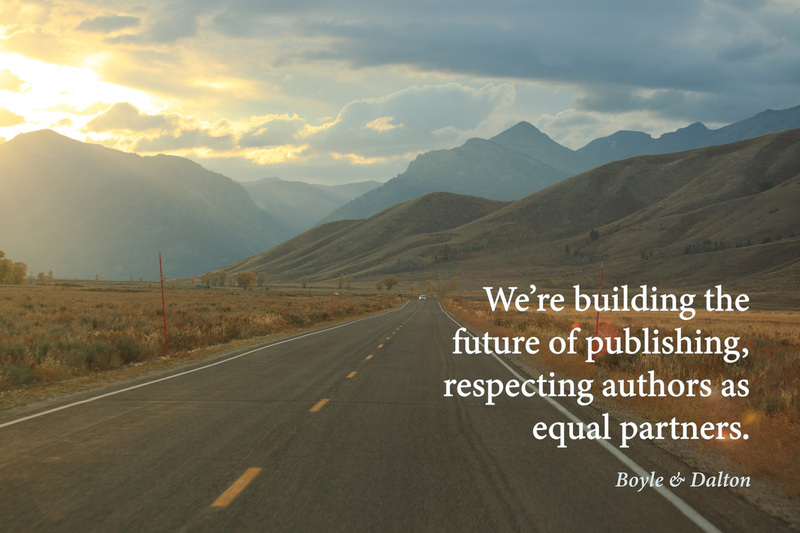 As an independent publishing consultant from 2008-2014, our founder, Brad Pauquette, worked with authors of all types and experience levels, helping them to improve their work and to find the right kind of publishing opportunity for their work. Brad found that many aspiring authors were interested in self-publishing—they were open to investing in their own books and liked the idea of receiving the majority of the profits when the book sells, and they liked the idea of retaining all of the rights and final say on creative control. But they were concerned about self-publishing because so many self-published books are…bad. And self-publishing sometimes has a poor reputation, which in some ways it has earned. So Brad had an idea. Let’s create a company which allows authors to invest in their own books, get a huge royalty rate, and retain final creative control, but which only produces good books. If it’s not good enough for a traditional publisher, then we won’t publish it under this imprint. What if these books were like self-published books, but had a company backing them up with a reputation for quality? And if we’re only producing good books, what if we can split the cost of production with the author, and split the royalties in a way that’s fair too? A fair split of the risk, and a fair split of the reward. With a quality production infrastructure backing it all up. And Boyle & Dalton was born. Our first title launched in September 2014. 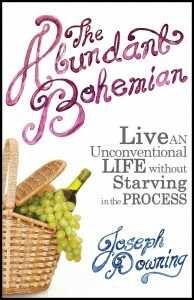 We knew The Abundant Bohemian by Joe Downing was a great book. Joe invested in the production of his book, we worked together to produce an exceptional title. Joe’s book is as good or better than a book produced through a traditional publishing company, but Joe receives a royalty rate that’s more than 10x what he would have received had he traditionally published. We started slowly as we tested the model and worked out the bugs. It was hard at first to turn down titles that didn’t meet our quality standard. There was a huge temptation to build out the catalog with whatever books we could sign. But we stuck with our principles, and only accepted the best. Our catalog today represents the quality that we knew we could achieve. We only publish books that we feel represent the quality of our name. And we insist that every author undergo a rigorous 5-step production process. Learn more about that here. Nowadays, a lot of companies are throwing around the word “Hybrid.” But really these are just self-publishing companies that want you to feel like you’re not self-publishing. Unfortunately many of these companies are not truly vetting books for quality (even when they claim to do so), and they’re not insisting their authors undergo a complete production process. Since our inception we’ve had the pleasure of producing exceptional books. And we’re proud to stand behind every one of them. We only accept the best. And when you’re published by Boyle & Dalton, you’re in good company. The imprint name on your book means something. Browse our full catalog here. Interested in publishing with Boyle & Dalton? We are always looking for excellent titles to add to our catalog. Learn more about submitting your work for consideration here. Every book produced by Boyle & Dalton undergoes a rigorous 5-step book production process. Small presses and self-publishers fail because they’re not producing books of a quality that will compete with books coming out of the Big-5 publishers. We’re committed to producing every book with exceptionalism, and with a complete production infrastructure. The Big-5 publishers are the 5 companies that control approximately 80% of all purchased books in the U.S.A.: Simon & Schuster, Penguin Random House, Macmillan, Hachette, HarperCollins. Our model has proven that books produced correctly and to a professional standard can and do compete with titles coming out of the biggest publishers in the world. The only difference between our books and Big-5 published books is that our model allows us to pay authors a royalty 10 times what they pay, on average. Our founder, Brad Pauquette, spent a decade consulting with authors and publishers of all types and sizes, and distilled the process of successful book production into 5 critical steps. He originally outlined these 5 steps in his book, The Self-Publishing Handbook: Five Key Steps to Professionally Publish Your Book. At Boyle & Dalton, after books are vetted for initial quality and accepted for publication, we embark with the author on a complete production process which typically takes 4-12 months to complete. This is the same process these books would undergo at a Big-5 publishing house, and we’ve proven that it produces exceptional books. The first step is to make the book better. No book leaves the author’s pen ready for printing. A professional, experienced developmental editor will carefully read and analyze your book, and work with you to improve story development, plot structure, character development, phrasing, technique, dialog, and so much more. This is a back-and-forth, one-on-one process with the editor. In this stage, the editor does not make changes directly to the manuscript (with few exceptions). Instead, the editor provides feedback and instruction to the author for improvement. While it can be challenging to receive hard criticism on your work, most of our authors grow so much as writers through this process. This process improves the manuscript we’re working on, and the techniques they learn improve all of their work moving forward. Once the manuscript works, from start to finish, it proceeds to a line edit. The copy editor will take the manuscript and find mistakes, line-by-line, as well as standardize the book to the Chicago Manual of Style. The copy editor isn’t concerned with big-picture issues, those were solved in the developmental editing stage. The copy editor is focused on specific phrasing, wording, mistakes, and importantly, the style guide. The way the interior of the book looks is important for both print and digital readers. Readers of different genres have different expectations for how the book will look. Your reader’s experience will be dictated by the work of a professional book interior designer, who will ensure that our book looks professional, fits the genre, and is technically correct. This is the step everyone is excited about, and it can happen at any stage of the process. Our professional designers carefully research, plan and expertly execute every book cover. We identify the best audience, working with the author’s input and feedback, to create a book cover that will grab the attention of the right readers. Once all of the other tasks have been completed, a professional proofreader carefully checks every word on every page and the cover to ensure that there are no remaining mistakes. Professional proofreaders have a mind-boggling and uncanny skillset, and their oversight is critical to a top-quality book. Following proofreading, the book is finalized for printing and distribution. The print book will be provided to Ingram, the nation’s largest distributor, and we’ll distribute the e-book to all major retailers ahead of the release date. For some of our titles, they’ll move on from here into audiobook production. As a hybrid publisher, we complete all 5 of these steps with feedback and input from the author. Every one of our books is produced at the highest quality utilizing this proven system. Our staff collaborates and cares for every title that passes through our publishing house. Are you interested in publishing with Boyle & Dalton? Submit your work for consideration today. Learn more and begin the process here. All content © Pauquette ltd, 2019. All rights reserved. Website designed by Brad Pauquette Design. Boyle & Dalton is a division of Columbus Publishing Lab.